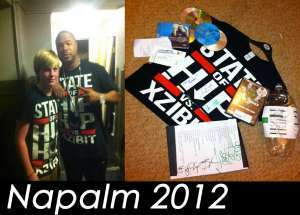 Xzibit Contest: Xzibit is giving away 15+ limited edition Napalm shirts to his biggest fans! Do you think you are Xzibit's biggest fan? Prove it! 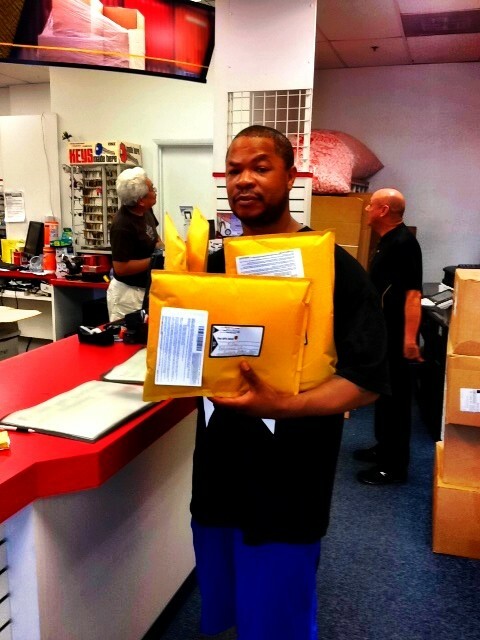 Xzibit is sending out 15+ limited edition Napalm shirts to his biggest fans! All you need to do is tweet @xzibit a picture of your Xzibit CD's, Merchandise, Past show tickets and anything else to show how big an Xzibit fan you are! Go to Xzibit's twitter page at http://twitter.com/xzibit and tweet him your picture to win! 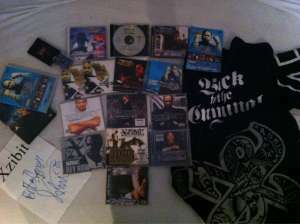 Xzibit fan & XzibitCentral.com contributor Harry Parslow Tweeted his picture to Xzibit and won! Xzibit fan & XzibitCentral.com contributor Billooh Tweeted his picture to Xzibit and won! Go to Xzibit's twitter page at http://twitter.com/xzibit and tweet him your picture to win!